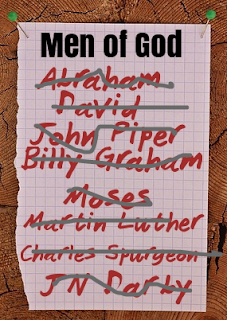 In my early twenties, my list of Christians to whom I actually paid attention had gotten a little truncated. Other people’s domestic arrangements loomed large in my estimation of their love for the Lord and the value of their teaching and spiritual advice. Then I got around to living life myself, and realized my critical assessments may have been just a little severe. I think I confused discernment with dismissiveness. It ain’t that simple. Don’t get me wrong: “You will recognize them by their fruits.” I get that. I’d better, since the Lord Jesus said it. Thorn bushes don’t produce grapes. Thistles don’t grow figs. An elder must be the husband of one wife. Deacons ought to manage their children and their own households well. Got it. Got it. I’m not suggesting we ignore the fact that other Christians sin in various ways, or that we relax the New Testament requirements for certain kinds of spiritual service. But people are not all one thing. Sure, they may be easily characterized with a single pithy adjective for short periods of their lives — drunken, faithless, adulterous, homosexual, thieving, dissembling, imprudent, rash, cowardly, undependable — but rarely do such descriptors serve to accurately map the trajectory of an entire human life, let alone a Christian walk. A misstep — or even several missteps — in a particular quadrant of our lives doesn’t necessarily mean we have learned nothing of the Lord in other areas. A failure — even a very egregious failure — at a particular point in someone’s history doesn’t mean we write them off forever. They may be very different today. It’s even possible they have learned quite a bit from crashing and burning, especially in public. David had six sons in four verses by six different wives, and that was before he was even king of all Israel. He had more wives both before and after. Yes, I know, that was what kings did in those days. I probably will not be following David’s example in the hope of finding domestic bliss. 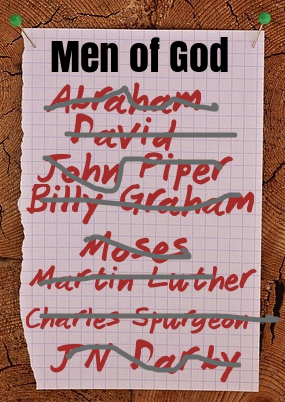 But man, did David understand the human heart and its relationship to God in a way that seems unique in his day. What wonderful intimacy at a time when God was often thought distant and unrelated to many specifics of human experience! And was he ever wholehearted about the glory of God: “See now, I dwell in a house of cedar, but the ark of God dwells in a tent.” There’s a pretty special set of priorities. Should we DQ David because his home was a mess? Probably not, unless we’re prepared to rip large sections of the Psalms from our Bibles. Should we follow his example in everything? Again, probably not. Whither the Spirit of Christ? David took his ex-wife Michal back forcibly from her weeping husband of many years with no apparent consideration of her wishes. Unsurprisingly, the reunion did not end well. I suspect the great king may have been primarily concerned with making a political statement or recovering his legal property rather than acting out of love. Yet only days later he grieved over the death of a political enemy to the point of refusing to eat. In one instance, the spirit of Christ in David seems obvious. In the other, perhaps not so evident. Not all one thing. People never are. Discernment and dismissiveness both start with ‘D’, but one is distinctly more Christian than the other. Not to mention more useful.